Bali!!!!! Pleaase reply and let me know that you have seen this. Ok I am going to Bali next week with school. Will not be on for 5 days. Wolvine you will know 'bout this. I am also turning 11 this sunday!!! yah me!! anyways here are some pictures of bali!!! I think this may have been photoshopped but have no idea. If you type Bali or Bali beach there are more photos and I am going to the gili Islands (Near bali. 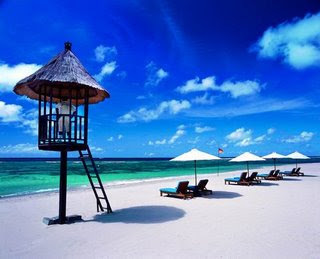 type in gili islands on google images.) at the end of november wif my fam. Re: Bali!!!!! Pleaase reply and let me know that you have seen this. *slaps head* Geez Fizzeh! Bail ent that great! Just a lot of sand and too many toirists! Well on the beach anyway...........XD Lomboks waaaaaaaaay better. Less people= Less rubish in sea. Yeah we I am going to lombok and the gilis with my family. And u is gonna be jelous, we are gonna go see the turtles!!!! hee!! Yeah well has you had an orangutan sit on your lap? Have you feed a dolphin???? AH *beep* I am not gonna be here for the next gathering! ....................It was a zoo orang that sat on you knee i bet. Mine was a semi-wild fully grown female with TWO kids. (Thats weird BTW) One should have left her, but it was sick when it wa slittle, and now he is going to stay with Princess for the rest of his life. No it wasn't. It was a half wild orangutan like yours. Na I lied!!! hehe you is real gullible!!!! Gullbie? What? HAHAHAHA Did you know that there is such a thing as an American ostrich? It was discovered. Don't worry, I'll make Creamfur wait to have the Kits untill you get back. Yes... Kits that I will slaughter. 11? Flamestar is 12 and Nightleaf is ... I think you're the youngest member. Last march when I went to Mexico a 2 week old baby tiger sat on my lap and ran around every where, SO FREAKIN CUTE! BEAT DAT <----- Hot wheels thing. This isn't a chat. Stop posting unless you have something UBER important to say. I HAVE SOMETHING UBER IMPORTANT TO SAY!! No. he only sinks, everyone nows that!